The Muslim terrorist is a cliché. But only in real life. And in post-9/11 comic books, "Muslim superheroes" are becoming a cliché. As a cartoonist and as a recovered Muslim working on an anti-jihad graphic novel called The Infidel, featuring Pigman, I've identified certain truths that Marvel and DC Comics have to evade in order to shove their "Muslim superheroes" down the throats of their readers. Before I move on to my list, I want to add that I put "Muslim superheroes" in quotes because Marvel and DC Comics want to promote "Muslim superheroes" without promoting Muslim superheroes. They want to promote their fantasy version of what they would like Muslim superheroes to be, not Islam's version. As I've argued in my work, a good Muslim by our standards is a bad Muslim by Islamic standards. Therefore, a true Muslim superhero would be a Muslim supervillain. 1. We Are At War. 9/11/01 was 12 years ago, yet those behind the attack are still undefeated. The greatest state sponsors of terrorism on earth — Saudi Arabia and Iran — operate as if 9/11 never happened. And we're still not ready to identify Islam as the enemy's motivation. Can you imagine American comic book publishers during World World II publishing Italian, Japanese and German superhero comic books? That would have been unthinkable back then. Almost as unthinkable as it currently is to see Marvel and DC create anti-jihad superheroes. While Marvel and DC are presenting Islam to us in the most politically correct possible way through their comics, in the real world Muslims are on the warpath, killing non-Muslims Every. Single. Day. These "Muslim superheroes" are in the end a way for liberals to deny the reality that an entire part of the world is at war with us, while we do everything we can to focus on Muslims who are not at war with us, as if they're the true representatives of a violent religion like Islam. 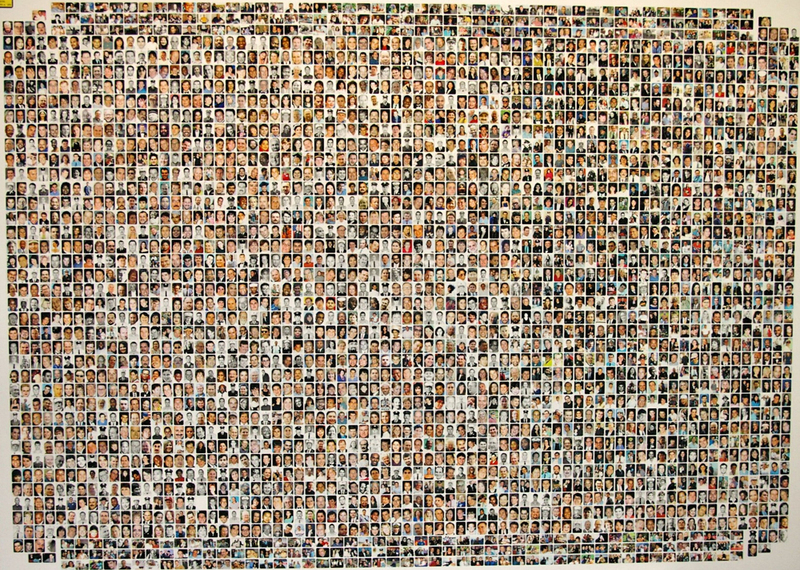 The victims of September 11, 2001. 2. Islam Means Submission, Not Peace. The only reason we're talking about Islam at all today is because it doesn't mean peace. Islam literally means submission, and it demands that Muslims submit to the will of its malevolent god, Allah. September 11, 2001, is when Americans really began to discuss Islam. Unfortunately, most of that talk ended up giving the religion the benefit of the doubt, either by ignorance or by deception. But we always need to remember that it was death and destruction, not peace and understanding, which started our conversation about Islam. In general, Islam  not any alleged deviant form of it  means misogyny, censorship, antisemitism, homophobia, wife-beatings, beheadings, honor killings, pedophilia/"child marriages," murdering infidels, etc. And while jihad literally means "struggle," its dominant, historical meaning has been "Holy War." And the jihad against us is being fought by the enemy on every possible front — military, cultural, legal, political, etc. In the meantime, we seem content to limit our defense efforts to simply sending our troops to Muslim countries with their hands tied behind their backs, placing them in unnecessary danger by rules of engagement — concocted by gutless politicians — that only help the enemy. A great American military has no chance in hell of defeating the enemy when Islamophiles like George W. Bush or Barack Obama are calling the shots. The more of us who understand the nature of this enemy, and the more willing we are to tell the truth about it, the more Washington, D.C., is pressured to act more rationally against an enemy who sees all of us as guilty until proven Muslim. As Muslim Bassam Tibi puts it, "Those who resist Islam cause wars and are responsible for them." This enemy means business, and they're prepared to say and do anything to kill us, while we're not even willing to be honest with ourselves about the exact nature of what we're facing. 3. Islamophilia, Not "Islamophobia," Is Our Problem. In the first pages of the debut story for DC's Muslim Green Lantern, they tried hard to sell the idea that it's tough to be a Muslim in post-9/11 America, by making him out to be the victim of "Islamophobic" attacks. Forget about the thousands of Americans who were butchered by Muslims on 9/11, DC seems to be telling us, just focus on this poor Muslim victim who's been mistreated by Americans. Since the widespread post-9/11 anti-Muslim backlash that the media was bracing for never came  "Islamophobic" attacks in the years following have had to be exaggerated or made up. Even in the 2013 U.S. "Hate Crimes" Report, Jews are still attacked five times more than Muslims. Phobia is an irrational fear about something. Philia is a positive feeling or liking. Why would non-Muslims have a positive feeling towards Islam, especially post-9/11? There's nothing irrational about fearing an irrational ideology that dehumanizes women, Jews, homosexuals, lax Muslims and non-Muslims. So it's Islamophilia, an uncritical acceptance of a hostile religion, that's our problem, not any so-called phobia about it. The below graphic is part of my "The Shadow Knows" blog series. The more we say "Islam means peace," the more peaceful Islam becomes ... & Islam means peace. The fact that DC Comics finds it necessary to have their Muslim Green Lantern be part of not one, but two popular superhero team series tells me they know this character can't carry his own weight with their readers. A big reason is that we all know Muslims have done nothing to deserve the constant tributes they receive from us. What's the likelihood of Saudi Arabia and Iran publishing comic books with American and Israeli superheroes? As likely as Obama becoming a born-again capitalist. Our appeasement has turned the enemy's hatred of us into contempt. And now, Marvel Comics will debut its new female "Muslim superhero" in her own comic book, but she'll be given the name of an established, pre-existing superhero, Ms. Marvel, in order to give her a leg up. I expect this character to join the Avengers or some other popular Marvel superhero group in no time, which might keep her own series afloat for longer than it would otherwise. And let's say she ends up in The Avengers comic book; I can already see activist Muslim groups petitioning Marvel Comics to put her in an Avengers film. And if it doesn't happen soon, they'll cry "Islamophobia." Marvel, on giving this unearned tribute to Islam, has now opened the door to Muslims demanding a male Muslim superhero as well. And after that there could even be talk about why it is that one of the great superhero icons hasn't converted to Islam yet, and so on. Again, where is the equivalent of this in "the Muslim world"? After one of my talks, an attendee made the observation that it's WE who are putting sheep's clothing on wolves  on the jihadists — and I turned that into my cartoon below. 5. Islam Doesn't Sell, from Mohammad to Today's Islamicomics. Mohammad was only able to sell Islam to around 150 people in 13 "peaceful" (aka powerless) years. Only after he revealed himself to be a murderous, sore loser did he attract a following of cutthroats whom he led in forcing large masses to submit to Islam. Which brings us to today: Islam does not sell, even when it's whitewashed. The Muslim comic book publisher behind The 99, Dr. Naif Al-Mutawa, assures us that there is no religion in his comics, no praying in it, etc. 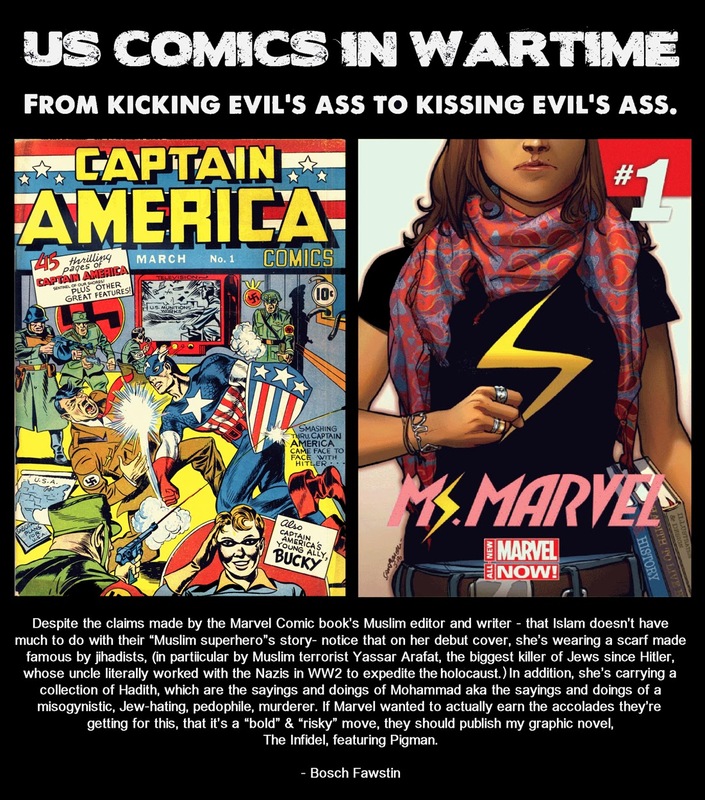 (as do the female Muslim editor and female Muslim writer behind Ms. Marvel). But that's not necessary when the entire point of his venture is to push "Muslim superheroes" — not to tell good comic book stories. That the writing and art are mediocre hits the point home further. This series is one Muslim's attempt at normalizing Islam in the West via pop culture. But even though he was able to shake down DC Comics (after Marvel passed) by getting them to agree to have Superman, Batman and Wonder Woman (who was conveniently covered up more than usual during the series) join The 99 in a cross-over, the series died a well-deserved death in the marketplace. Even the Big Three Superhero Icons, along with all the leftist media support you'd expect, couldn't lift the 99 "Muslim superheroes" to success. 6. Islam Is Contrary To Liberal Values. In terms of how different "the Muslim world" is from ours, consider how we habitually refer to it as "the Muslim world." It's a way of recognizing how separate, how alien that part of the world is to America, to the West. We're taught to value human life. Muslims are taught to value Islam. We see Hitler as an icon of evil, Muslims see him as their Favorite Infidel. I grew up in New York and had family members who were merely lax Muslims, and who nonetheless admired Adolf Hitler. I was reminded of that after 9/11 when I read a "Palestinian" say that while Hitler was good, he didn't kill enough Jews. Meaning, he didn't kill All Jews. As for women's rights, they're non-existent in "the Muslim world." Speaking from my own experience, I can only name maybe a handful of my male Muslim relatives who didn't beat their wives. Homosexuals are murdered for being homosexuals and liberals are silent. And yet this is the culture to which our biggest comic book publishers pay tribute. These are the same publishers run by those who profess to hold liberal values. This is not simply cowardice on the part of Marvel and DC. This is SuperCowardice. 7. Islam Is Contrary To The Superhero Tradition That Was Built By "The Descendants of Apes and Pigs." While American superheroes, most of them created by Jews, were fighting Nazis in comic books during World War II, "the Muslim world" allied with Nazis in real life. Terrorist Yassir Arafat's uncle, the "grand" mufti of Jerusalem, was in Germany trying his best to expedite the Holocaust, complaining that the Germans were too lazy to get the job done. The creators of Superman, Batman and Captain America were all Jews. Or, as the Koran refers to them, "the descendants of apes and pigs." To see this "Muslim superhero" trend take place in a medium built by Jews, during a time of war where Jews are targeted more than others, is particularly disturbing. Superheroes were a way for cartoonists in WWII to smash our enemies, to give themselves and their readers a much-needed taste of victory against them. Can you imagine Joe Simon and Jack Kirby — instead of creating Captain America in order to fight Nazis during WWII — creating a German superhero, while ignoring Nazis and WWII? That's as likely as Obama talking up America as much as he praises Islam. 8. Good Muslims By Our Standards Are Bad Muslim By Islamic Standards — Jihadists Are Islam's Heroes. A "Muslim superhero," if at all devout, would not act like your average non-Muslim superheroes, the way the current "Muslim superheroes" are behaving in their comic books. They would act in the name of Islam. And that means acting in ways that are antithetical to The American Way. They would do things that Islam commands that they do. And the more devout, the more potentially dangerous the "Muslim superhero" would be to non-Muslims. Being a jihadist — fighting, killing and dying in the name of Allah — is the pinnacle of being a Muslim. And when people say "not all Muslims are terrorists," as if they've stopped your argument cold, you need to remind them that not all of us are soldiers as well. Heroes are a small minority in any culture, and the same goes for Islam, whose heroes are the jihadists. What a liberal considers to be a "Muslim superhero" and what a Muslim superhero would be, according to Islam, are two completely different things. Let me reiterate: a hero by Islamic standards is a villain by Western standards. Islam's heroes are our villains. 9. You Can't Insert 9/11 Into a Superhero World Without Avenging It. After a dozen years, DC Comics finally acknowledges 9/11 in its comic books, but keeps its "Muslim superhero" from retaliating against those who have "hijacked" Islam? 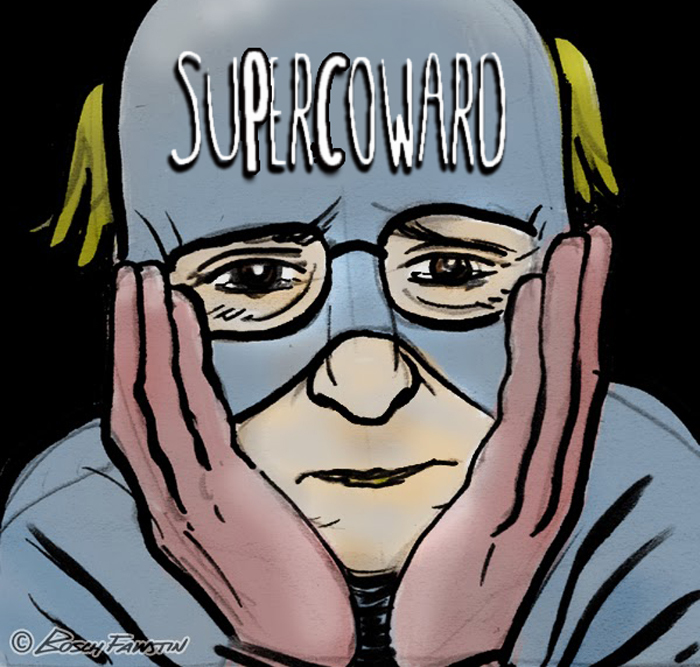 Of course, the jihadists haven't hijacked Islam — but that's the premise of the "Muslim superhero," that they're the good Muslims, the true representatives of "the religion of peace," while the true believers are just a "small minority of extremists." This is a premise that DC wants to implicitly push, but never explicitly put to the test, so they avoid it all together, missing the opportunity to go down a dishonest path that would inevitably lead them to the truth they want to avoid. DC Comics used to publish a comic book called The Brave and the Bold. Used to. "You're the reason why I won't feel bad when we all die in a nuclear holocaust." That was one liberal's response — the most unhinged I've ever gotten — to my Pigman work. I ended up using it as a blurb for my comic book. Pigman or as the jihadist enemy refers to him, "The Beast! " is my anti-jihad superhero. I created him after 9/11, when I thought about what would be the Last thing in the World the enemy would want to face. So I thought up a Big, Ruthless, American ex-Muslim who knows the enemy's language, in more ways than one, and who dresses up in pigskin-leather, hell-bent on making the enemy pay with their lives for 9/11. As he puts it in chapter one, "They've come to kill us and will die for it." And even though the comic book industry has done its best to ignore Pigman, they couldn't do that the night I ended up on The Daily Show. Check out my full account here. 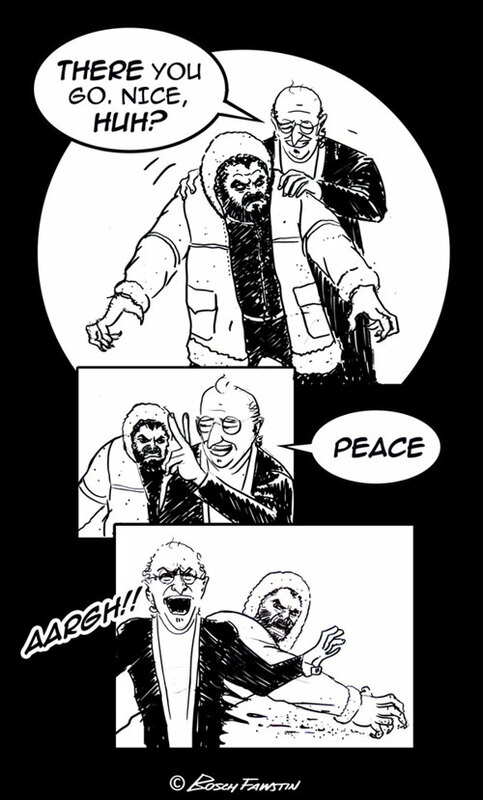 The West's "Muslim superheroes" exist in order to deny the need for anti-jihad superheroes. And Pigman exists in order to show how we should respond, at least in fiction, to an enemy who forces average Americans to jump from skyscrapers to their deaths. And there's another character in Pigman's world, one who is determined to become the ideal Muslim. One who is determined to be the champion of "the Muslim world." And once he achieves that state, he naturally becomes Pigman's arch-enemy. 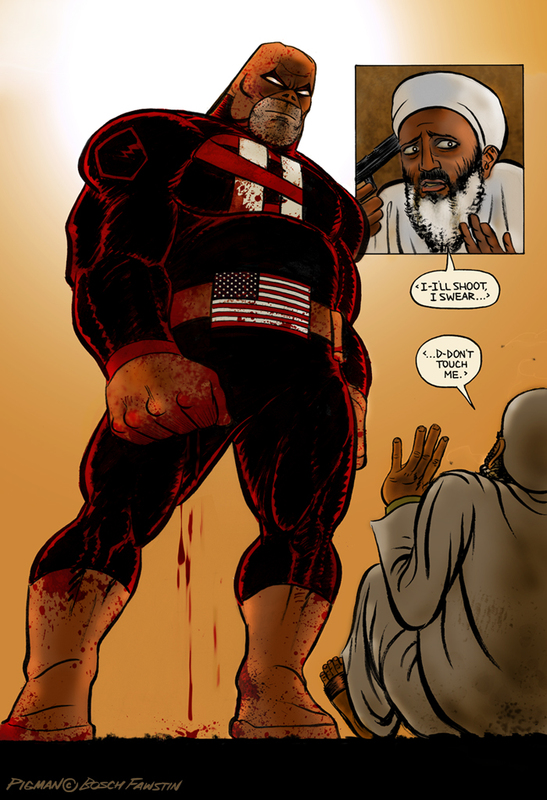 His name is SuperJihad and he represents what a true "Muslim superhero" would be like if one is honest about the nature of Islam and its jihad. Some comments on the article. Thank you so much for this column. I've been back and forth to the islamic world many times over the last 23 years - three combat deployments, and three other individual deployments to areas that were "peaceful" at the time I was there. During my last trip (last year), I met up with a guy I knew on my first deployment in '91, but hadn't talked to since about '95 or so. I was a private back then, and he was my lieutenant. He's a senior officer now. I have been utterly stunned at his level of ignorance (denial?) about the nature of the threat we face from worldwide jihad. He is absolutely convinced that all of our problems with islamic jihadists are our fault - that if we would only stop being so damned American, they would love us. This is coming from a SENIOR officer in the military! Folks, nothing has sent shudders through me quite like the realization I have come to about who's running things today at the highest levels in the pentagon. Be worried. And Mr. Fawstin, for the sake of our culture, don't let anyone shut you up about what's going on. "The creators of Superman, Batman and Captain America were all Jews." Also Spider-Man, Iron Man, the Hulk, Thor, the X-Men, The Fantastic Four, Hawkeye, the Black Widow, Daredevil, Nick Fury and his agents of S.H.I.E.L.D. ... pretty much any superhero known to the general public today was created by Jews. Not only that, but by and large these were Jews who had personal experiences with the Holocaust and knew evil when they saw it. Most readers here probably aren't aware of this but Captain America was punching Hitler in the face almost a full year BEFORE the US entered WW2. As a longtime reader and collector of comics it saddens me greatly to see the medium they founded being used to whitewash evil instead of confronting it. 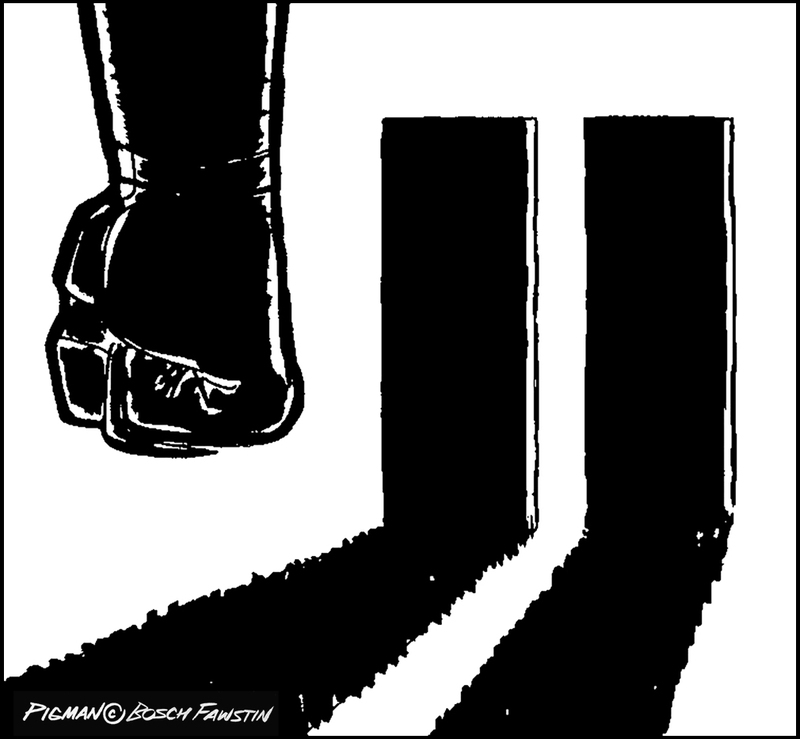 http://pjmedia.com/lifestyle/2013/12/19/10-truths-mainstream-comic-books- evade-to-promote-muslim-superheroes/?singlepage=true. Thanks are due Dr. History for sending this to Think-Israel.